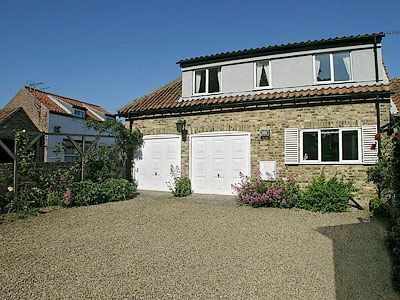 Grove Cottage is a pretty three bedroom holiday cottage, which is located in Sewerby, near Bridlington in East Yorkshire. It adjoins the owners' own home and has a sea view from the cliff top, which is only 2 minutes walk away. The cottage has three bedrooms, which consists of one double room and two twin rooms. The lounge is comfortably furnished with TV and a DVD player for entertainment. There is a bathroom with bath and shower cubicle, as well as a separate WC. The kitchen is fully equipped including a washing machine and microwave, an electric oven and gas hob. There is gas central heating in the cottage. Outside there is a patio garden with parking for 2 cars. No smoking allowed.